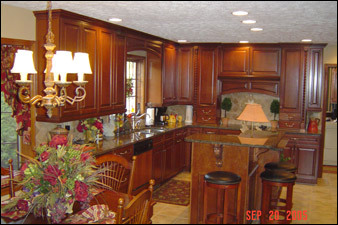 New from floor to ceiling, the Boyer’s kitchen makeover includes granite tops, custom tile backsplash, exhaust hood and additional pantries. 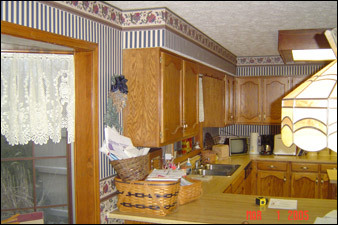 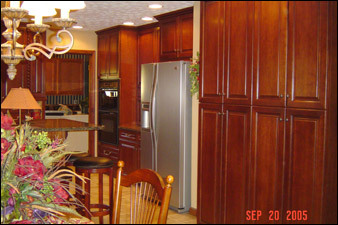 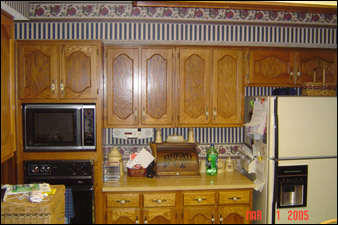 The classic cherry cabinetry received several custom field modifications to meet the client’s design requirements. 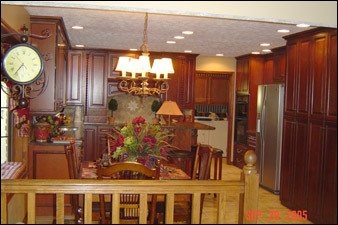 Recessed and under-cabinet lighting bring both accent and task lighting to this comfortable gathering and entertainment space. 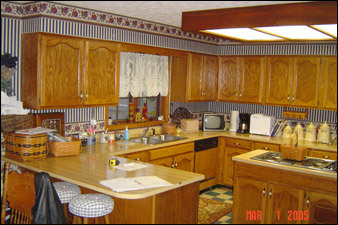 The tiered island doubles as additional work space and a breakfast bar.